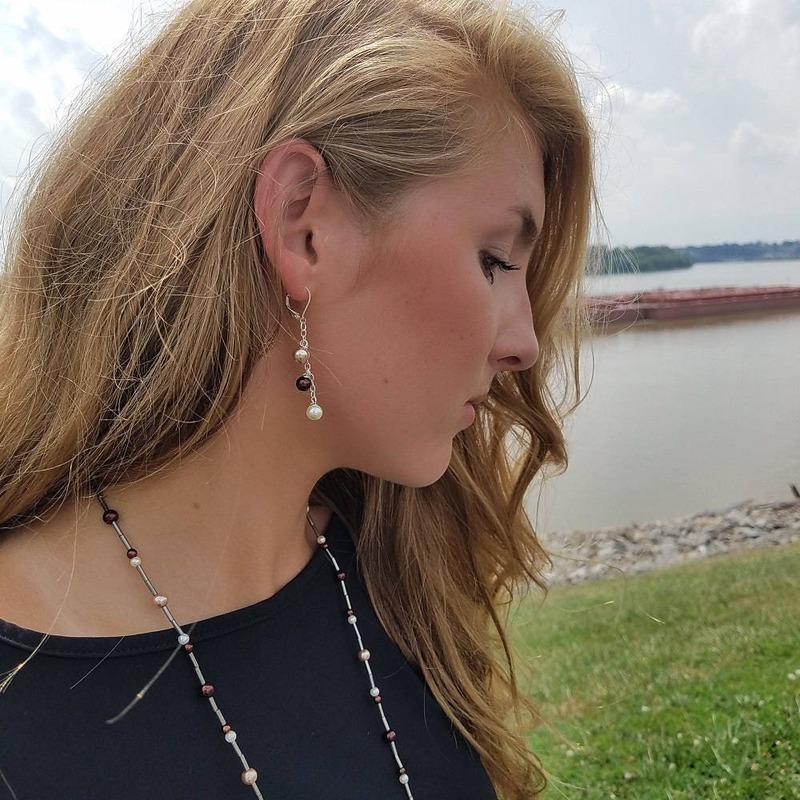 Extra long tassel necklace and drop earring set with a beautiful blend of burgundy, rose and ivory colored glass pearls accented with dark silver bugle beads. 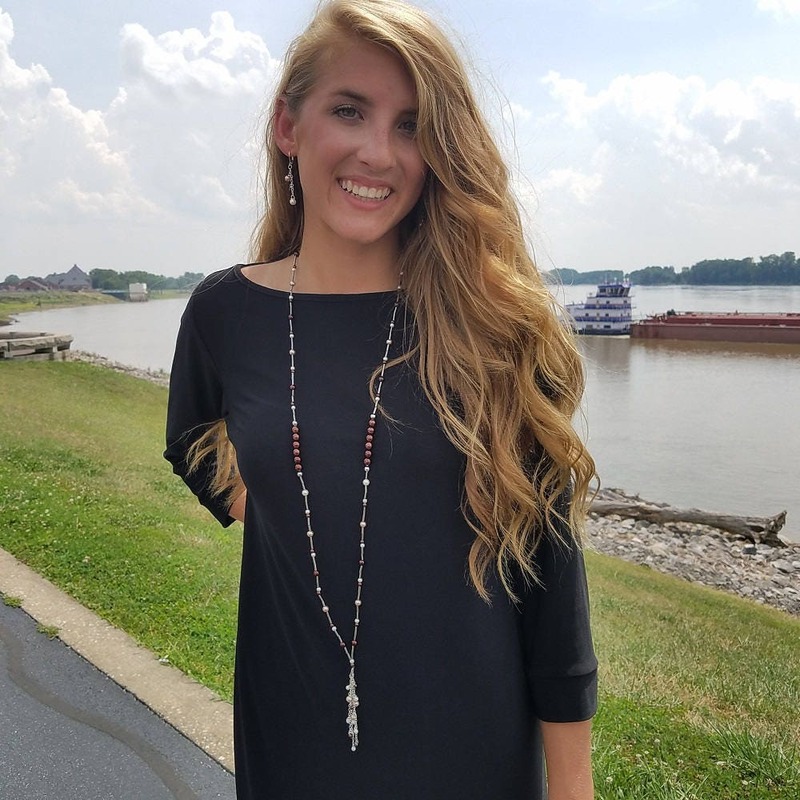 The necklace tassel is hand looped and measures approximately 3.5 inches. 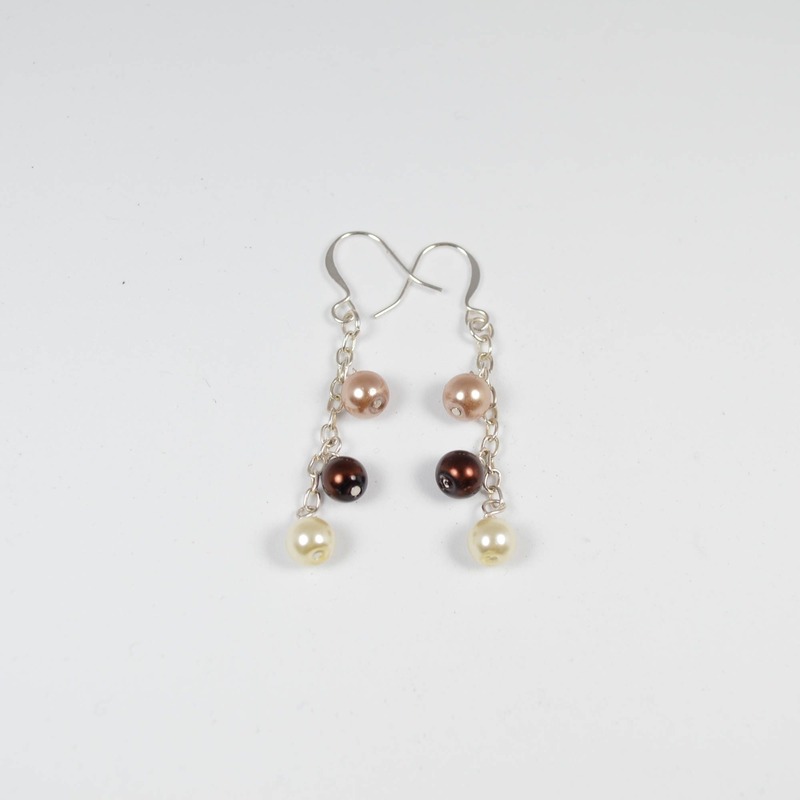 You'll love the delicate 3 tier drop earrings featuring glass pears in the same colors in a descending fashion. 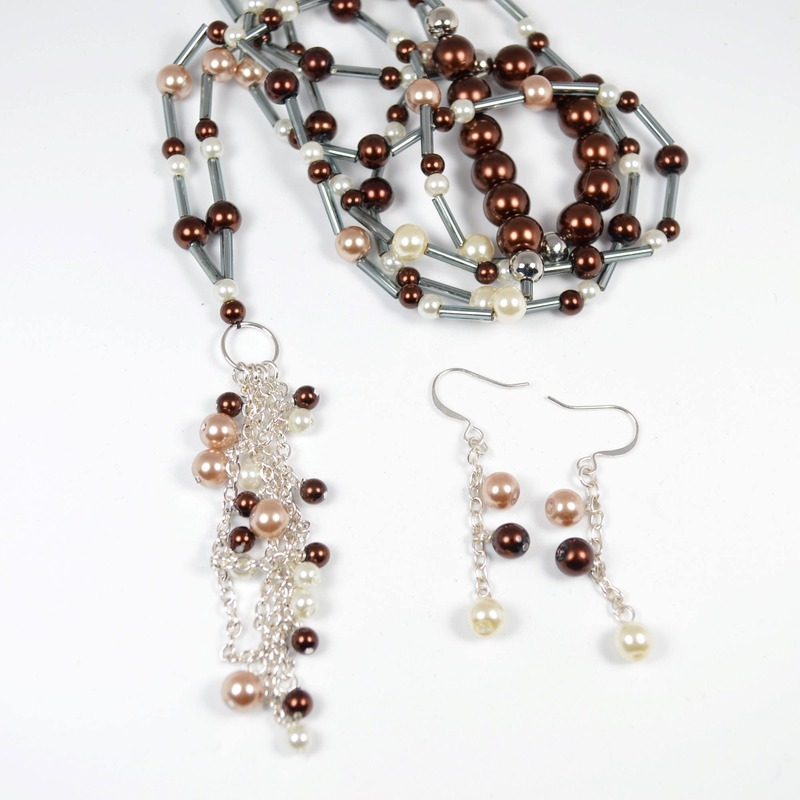 Exquisite!! 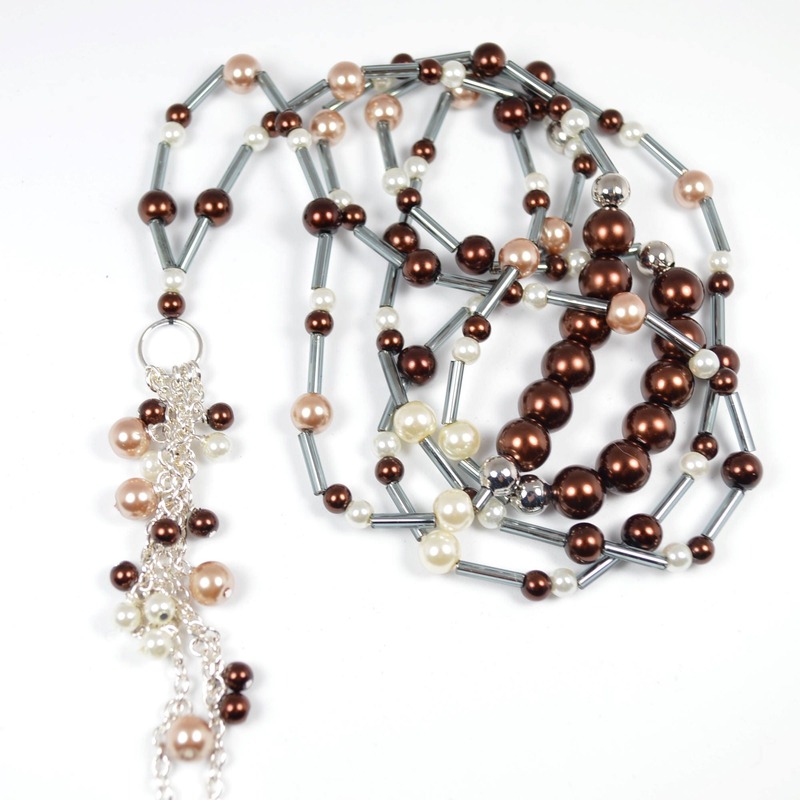 This piece wears especially nice with black, cream and burgundy tones.